The Bucks County Intermediate Unit (Bucks IU), in‐line with our ongo­ing STEAM (Science, Technology, Engineering, Art, and Math) edu­ca­tion efforts, was proud to again coor­di­nate and host the Bucks County region­al STEM Design Challenge. Two sell‐out crowds, of sixty‐five teams each, com­pet­ed on two sep­a­rate days with ele­men­tary stu­dents (grades 4–5) on March 8th and mid­dle school stu­dents (grade 6–8) on March 15th. The top team in each divi­sion advances to the state com­pe­ti­tion being held on Friday, May 17th at Harrisburg University in Harrisburg, PA. This year’s design chal­lenge was to cre­ate a machine that would move 3 objects at least 6 inch­es across a table. Their “crane” must pick up the object, move it at least 6 inch­es and then set it back down. The teams had to pro­vide a jour­nal doc­u­ment­ing their con­cepts and plans, as well as a final design blue­print of their pro­posed solu­tion. Upon arrival at the com­pe­ti­tion, they need­ed to then suc­cess­ful­ly assem­ble their cre­ation for judg­ing. 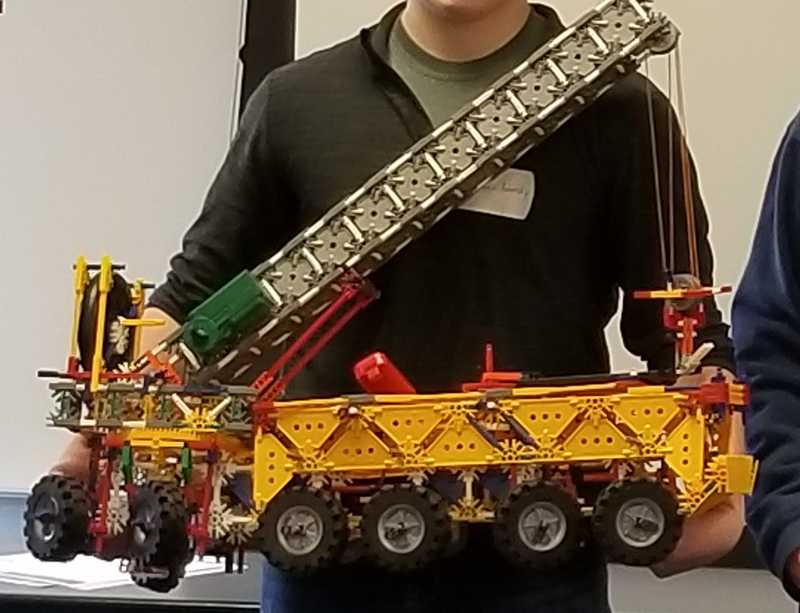 The stu­dents use K’Nex to build their projects; a build­ing sys­tem con­sists of inter­lock­ing plas­tic rods, con­nec­tors, blocks, gears, wheels, and oth­er com­po­nents, which can be pieced togeth­er to form a wide vari­ety of machines and archi­tec­tur­al struc­tures. 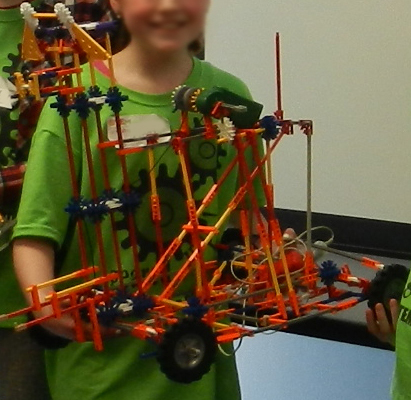 The mid­dle school teams were giv­en the addi­tion­al task of pre­sent­ing a bud­get for their project in which they had to inven­to­ry each K’Nex piece they used, with cor­re­lat­ing costs and sum­ma­ry, as an over­all cost for their project. The results were absolute­ly amaz­ing. This was evi­dent from not only the lev­el of cre­ativ­i­ty behind the actu­al design con­cepts but also clear­ly dis­played in the detail and pro­fes­sion­al­ism shown in each team’s required doc­u­men­ta­tion. The team­work, sup­port, and effort these teams all put forth was tru­ly exem­plary. Our con­grat­u­la­tions to all the win­ning teams and our sin­cere thanks to all the par­tic­i­pants for mak­ing this anoth­er fan­tas­tic STEAM event. For more infor­ma­tion on STEAM pro­grams from the Bucks IU, please con­tact Dr. Lindsey Sides, Supervisor of STEAM Programs at 215–348-2940 Ext. 1460 or email her at LSides@BucksIU.org.